The 2017 Panini VIP Party packs are like the shiny icing on the cake for collectors who are already in peak hobby form at the annual NSCC. Getting in the door on Saturday night requires a sizable outlay, but VIP patrons are treated to gold foil-wrapped excitement from multiple sports, as well as a chance to visit with various sports celebrities in attendance. 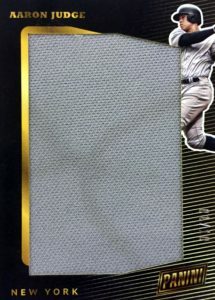 Although the Panini NSCC Wrapper Redemption packs are obtained based on specific box purchases at the National itself, the more exclusive 2017 Panini National VIP Party set requires a bit more work, and cost, and the available cards reflect that. Because Panini rarely makes the full details available for their promo sets, the 2017 Panini VIP Party checklist will likely come together in bits and pieces over time. 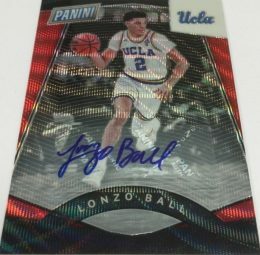 However, collectors can count on Autographs and Relics with distinct, Refractor-like finishes, along with VIP Gems cards featuring actual diamonds. 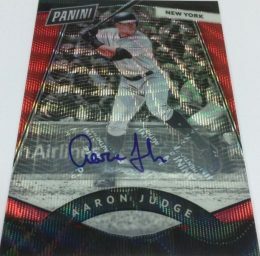 While base diamond cards are low-numbered, there are also one-of-one signed versions. The encased VIP Gems cards come in a separate black box. In addition to the near-mythical gold foil packs, the invite-only event at the 2017 National in Chicago provides signed memorabilia and elbow-rubbing with the stars. The guest list includes Deion Sanders, Glen Rice, Kris Dunn, LaDainian Tomlinson, Latrell Sprewell, Lonzo Ball, Pete Rose, Thomas Hearns and Mickey Mantle's sons, Danny and David Mantle. 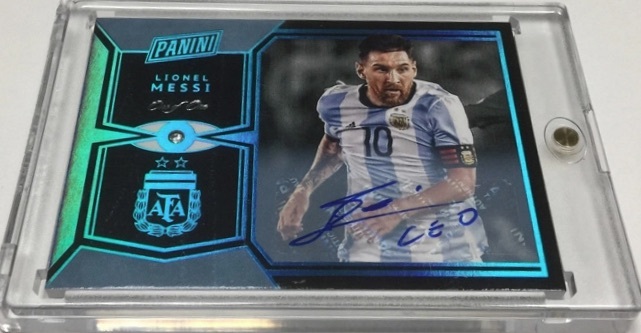 This is an early checklist based on details from Panini. A full checklist will be added if provided. Print runs listed when known. Found in VIP Gems boxes. Serial numbered 1/1. Found in VIP Gems boxes. 2017 Panini National Convention VIP Patrick Mahomes Auto RC #20 25 PSA10!